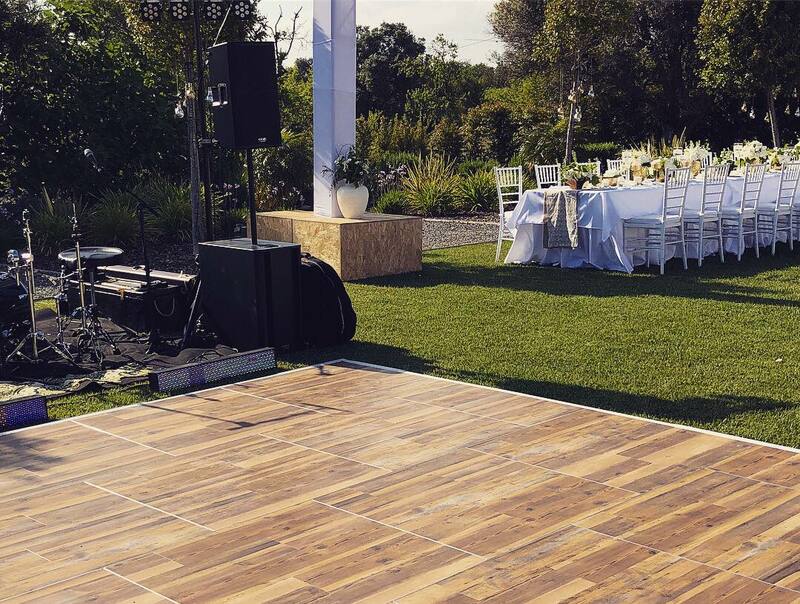 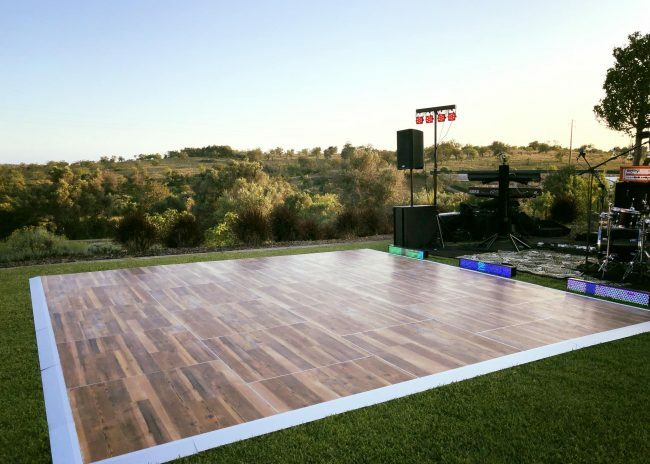 The Multilok® Portable Dance Floor is a multi-purpose portable dance floor designed for both indoor or outdoor use. 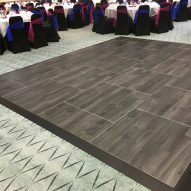 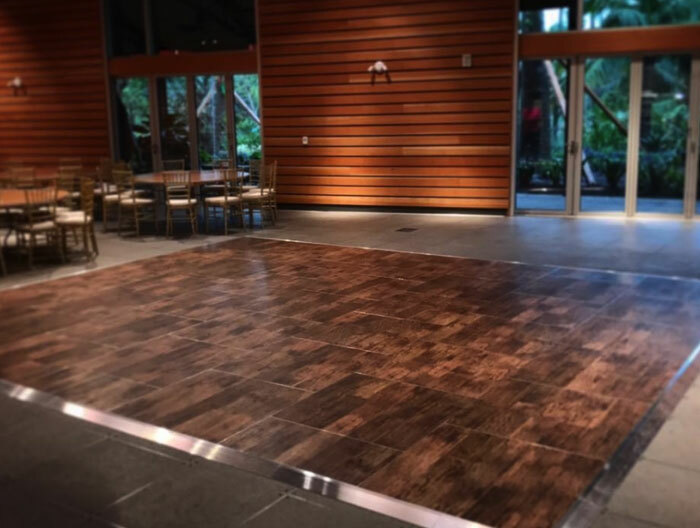 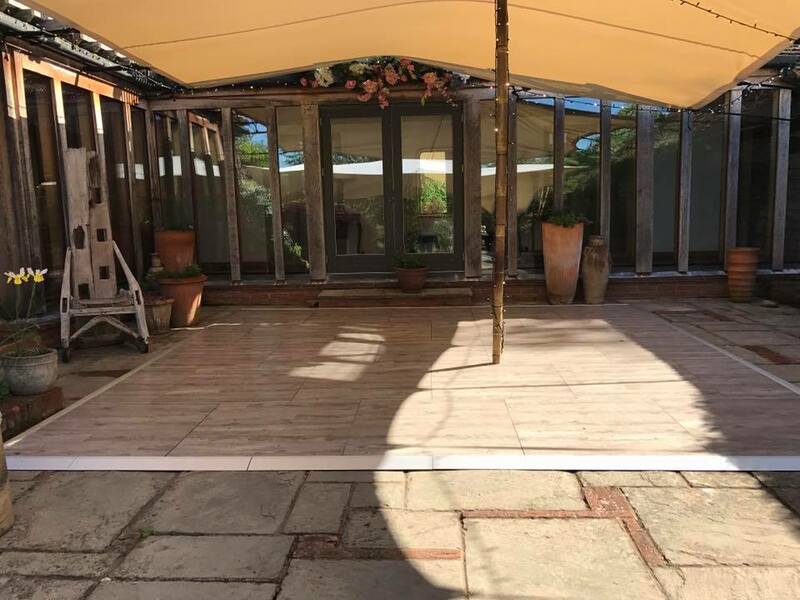 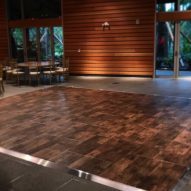 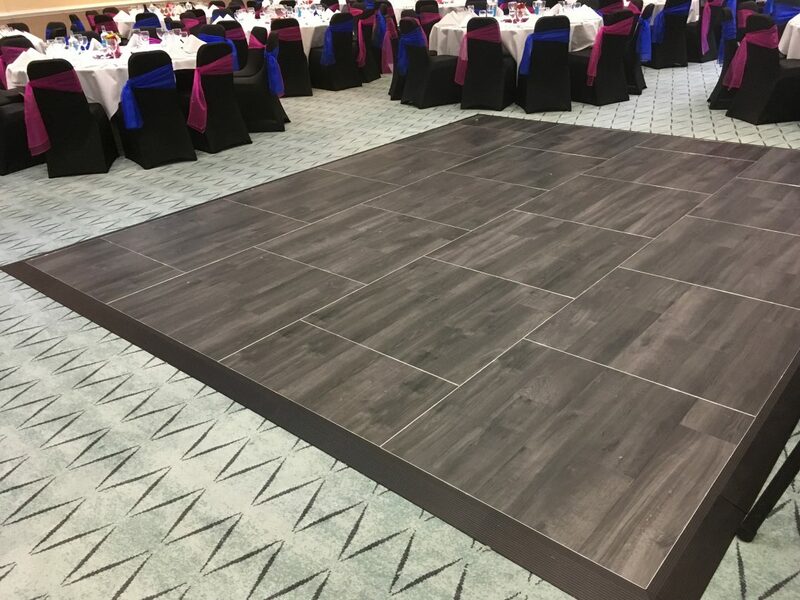 Utilising the same innovative brickwork design as the other “lok” dance floors means that the panels and edges are secured without the need for screws or tools for assembly making laying quick and easy. 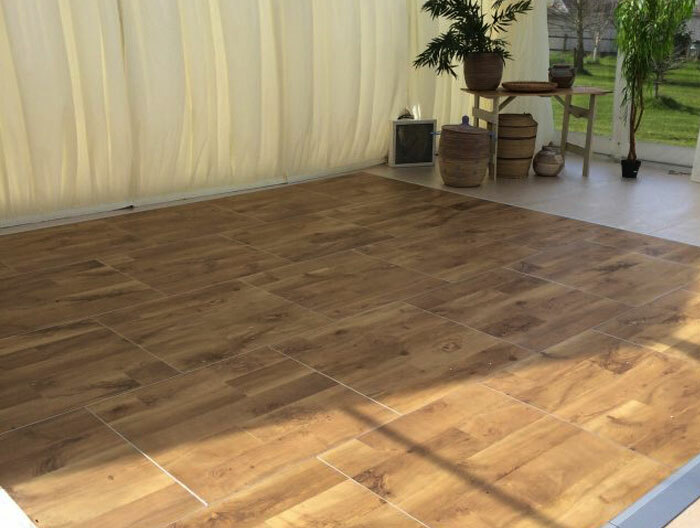 Panels are constructed with aluminium frames and battens into which a co-extruded waterproof base is secured and a choice of coloured Karndean® commercial grade vinyl including Auckland Oak, Ebony, Bracken, Vintage Pine, Distressed Oak and White Oak is glued. 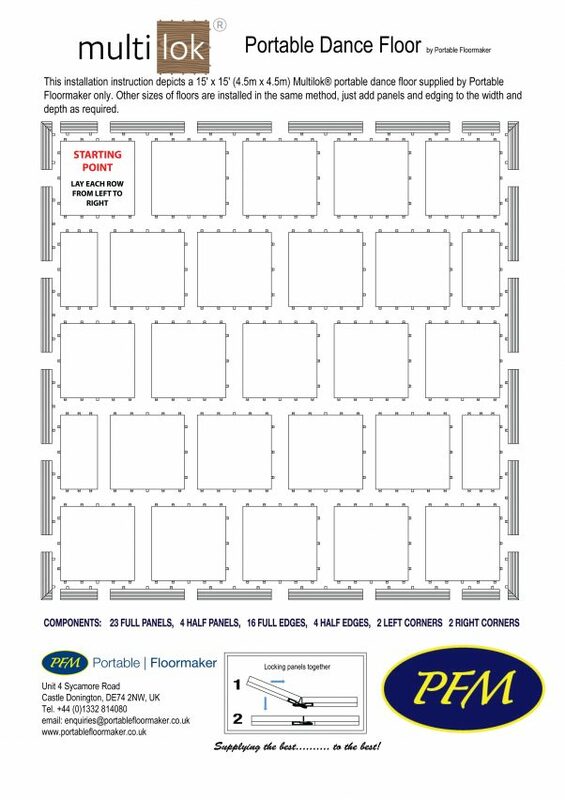 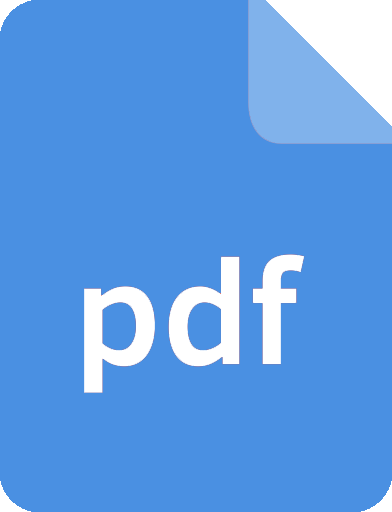 At just 27mm high and comprising of two panel sizes, 864mm x 864mm (full panel) and 864mm x 431mm (half panel), full panels weigh 11kg with half panels weighing 5.5kg making them lightweight and easy to handle. 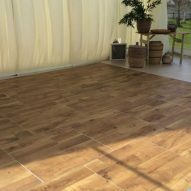 Edging is anodised in a choice of colours to match the floor to offer better durability and a more consistent appearance. 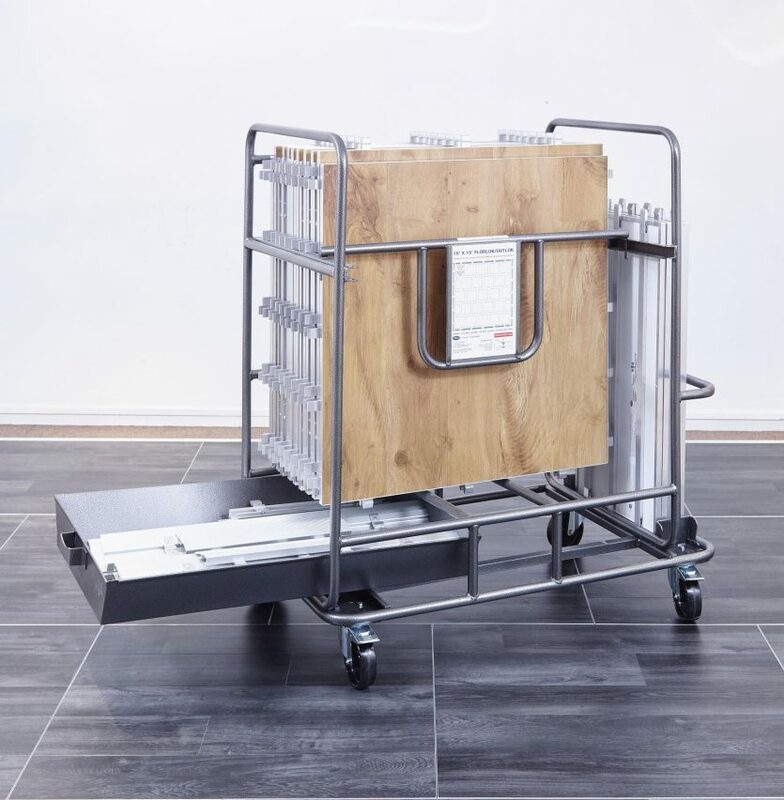 A purpose designed trolley is available for quick and effortless transport and storage. 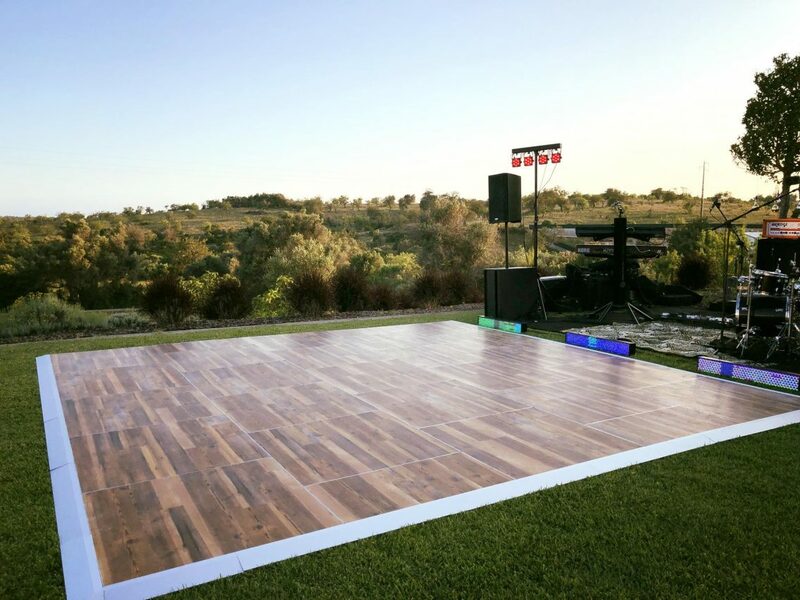 Each single trolley can hold up to a 4.57m x 4.57m (15′ x 15′ ) complete dance floor and is sized to fit through standard single width doorways. 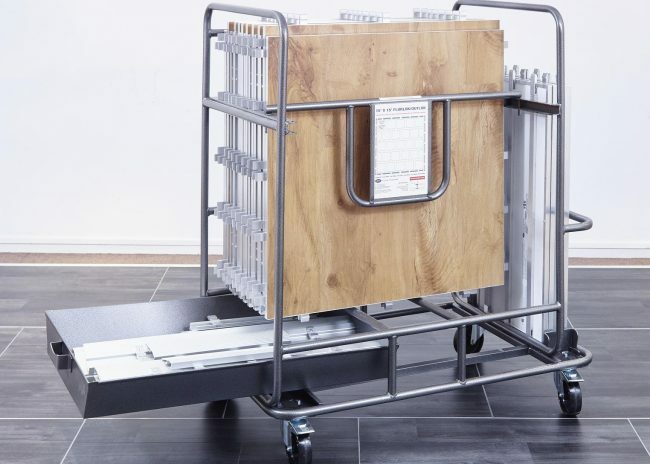 The unique edging tray affords ease of access to the edging components without any health & safety concerns as with a wooden box on some storage trolleys. 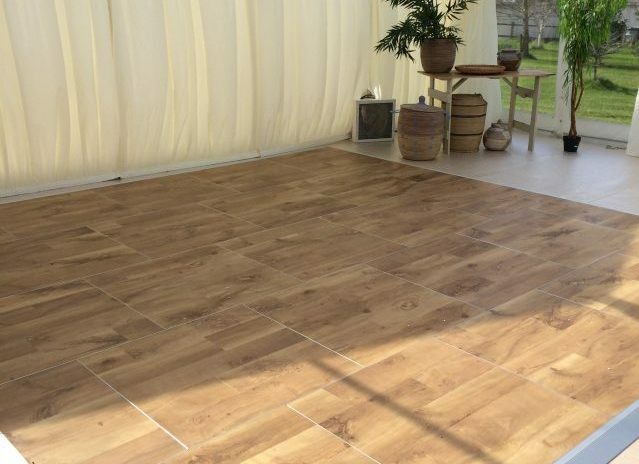 This floor is designed to be utilised both indoors or outdoors as well as being stored outdoors without any moisture or heat concerns. 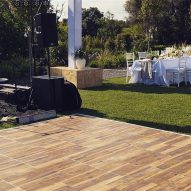 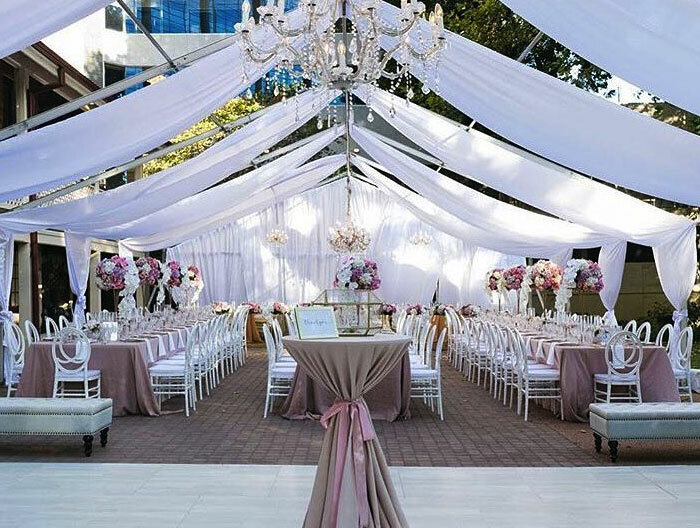 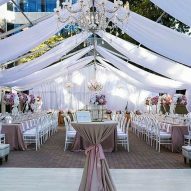 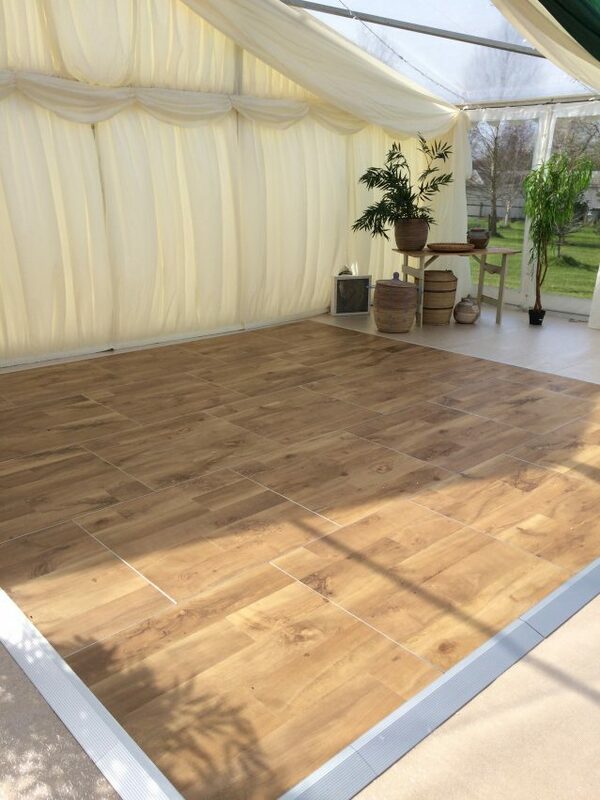 The Multilok® portable dance floor is ideal for use in hotel and marquee environments, at wedding venues, for shows and events but could also be used simply as a outdoor walkway or reception area. 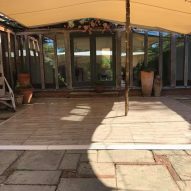 * Although designed for indoor and outdoor use, care should be taken not to subject the vinyl surface to extreme direct sunlight or heat lamps over long periods. 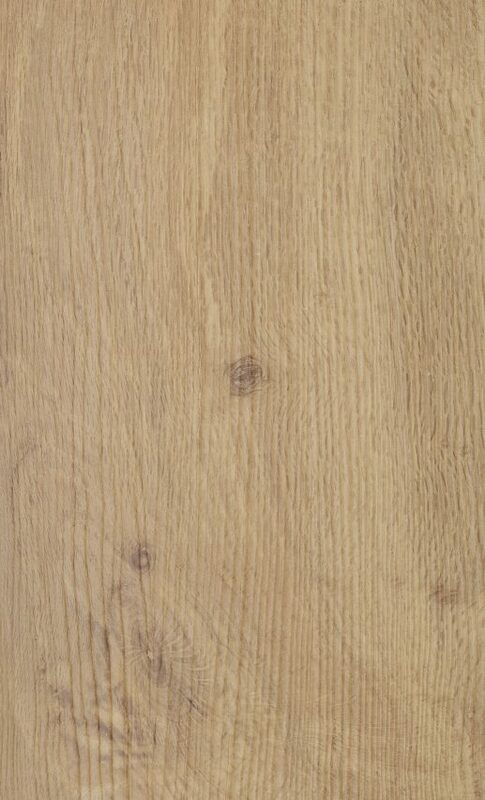 A classic honey oak colour with distinctive authentic knot details for a classic and versatile oak look. 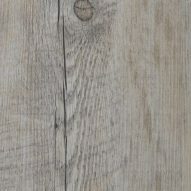 This original and popular timber effect gives you a really welcoming, rustic feel suitable for use in commercial applications. 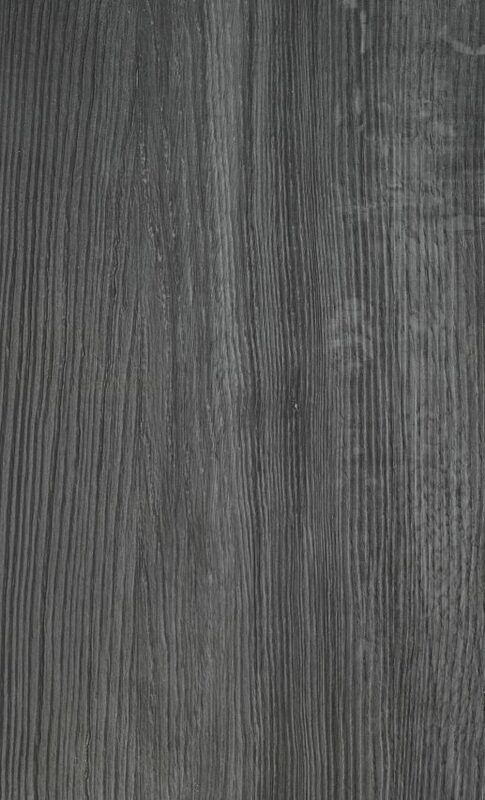 For a striking, contemporary look consider our Ebony wood plank. 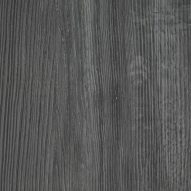 Varying charcoal blacks and greys through subtle linear greys makes for a really distinctive look for your space. 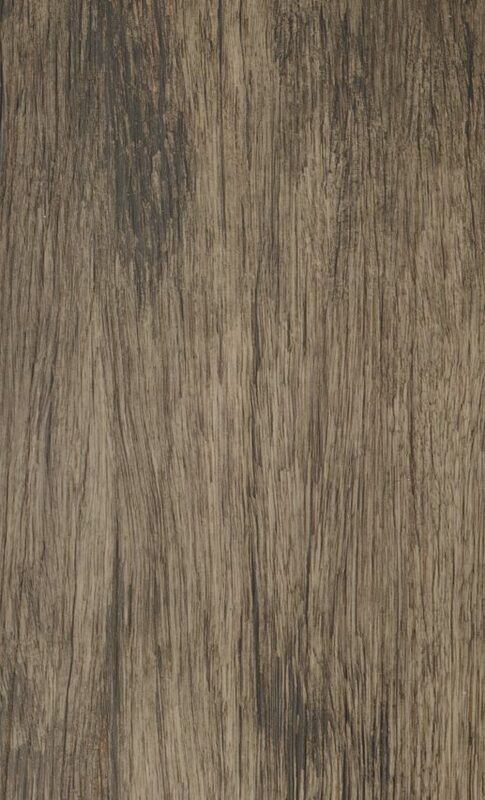 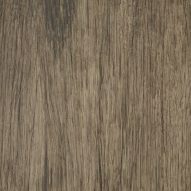 Distressed Oak has a pronounced grain with deliberate knot and line details in its design. 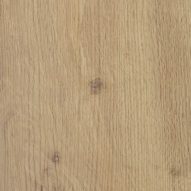 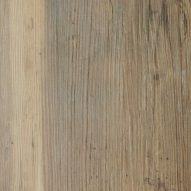 The authentic rustic finish mean you can have the appearance of a real oak floor with none of the drawbacks of real timber. 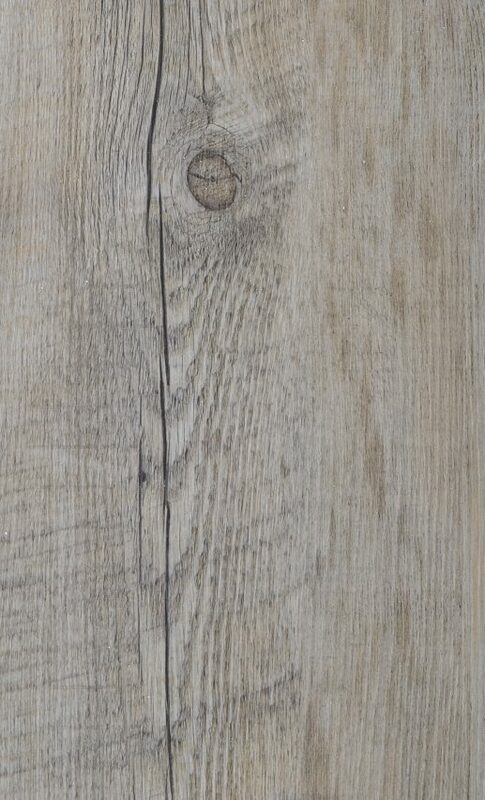 The distinctive weathered look of Vintage Pine combines a versatile mid brown tone with authentically recreated 'weathered' patches in a cooler grey. 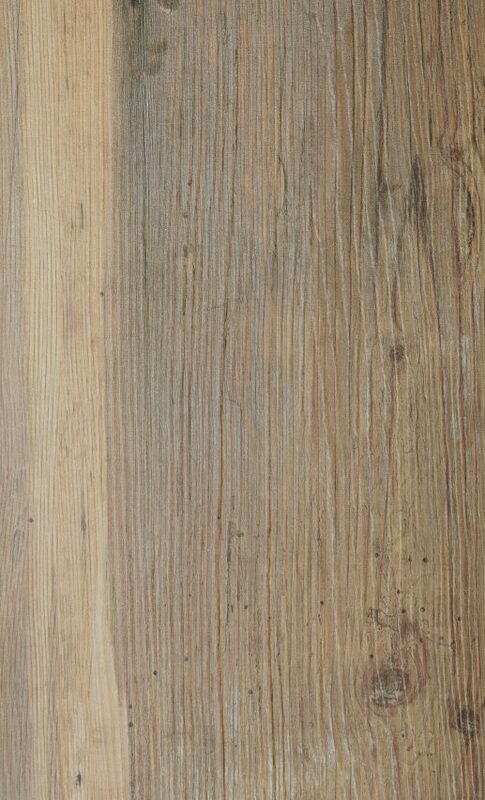 This gives you a realistic aged effect with none of the practical difficulties of a real aged timber. 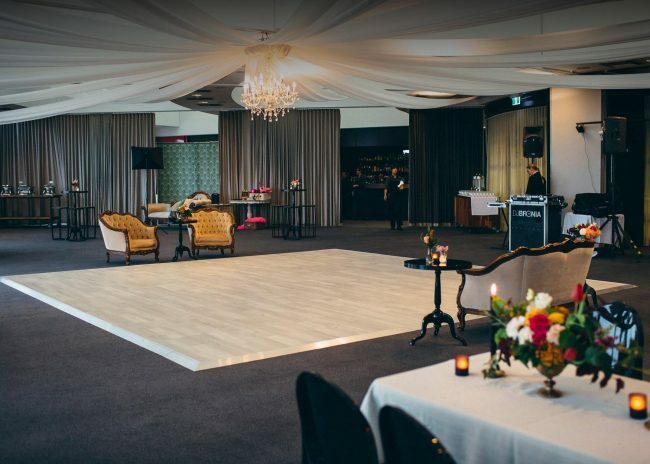 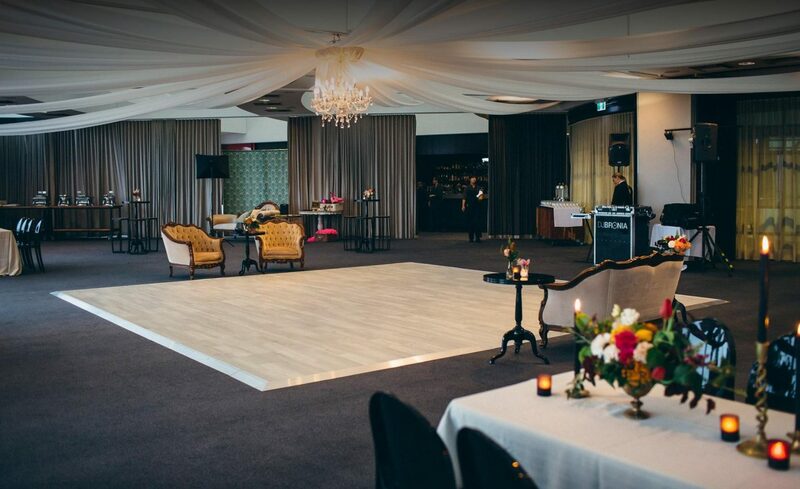 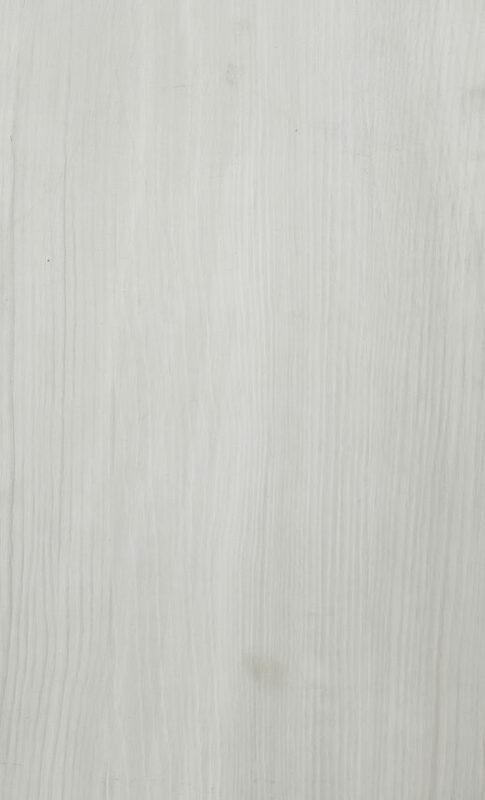 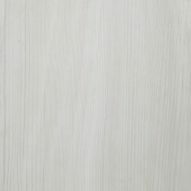 Offering a contemporary, elegant space with the soft white stylings of White Washed Oak from the Van Gogh timber collection with delicate oak grains coupled with the cool chalky washed finish achieves a striking and versatile backdrop to suit your function room style.